Muda : Uber moves aren´t LEAN, ISO and how helpful really is & my thoughts on mexican workers. Uber moves aren´t LEAN, ISO and how helpful really is & my thoughts on mexican workers. This time there was so much going on, so wanted to write about 3 different topics cause I think, using Lean thinking, might be less of a problem and more an opportunity. First there´s Uber and the controversial move that caused many drivers feel uncomfortable with the company. Then we will be discussing a little bit about how helpful really is ISO and finally a few thoughts on Mexican workers and Lean. This week many drivers said they were unhappy with the controversial decision the company took to lower the fare. This past week the company lower the rate in Mexico City (don´t know if they did this in all countries) but at least in Mexico city the minimum fare was reduced from $40.00 mexican pesos to $35.00, about 1.9 usd. But this is the fare the customer pays for the service, while the commission charged for the drivers remained at 20%. The issue, the drivers say is that their costs are the same and in some cases higher, but as the price is lower and the commission they have to give to Uber is the same, of course the gain for drivers will be less. So they made a demonstration last friday, demanding going back to the same minimum fare of $40.00 to keep attractive being an Uber driver. They also claim that they weren´t consulted, nor told with time about this decision. They received an email, the night before the new fare was available. They also say that communication with Uber is difficult, since they communicate with the company only through e mail, and sometimes the response is too slow. I haven´t been able to see Uber comments on this regard, and they haven't said if they will go back to the $40.00. In the mean time the customer is happy, but customers may start being affected since some drivers, are requesting other drivers to stop working at night, which is the moment were Uber demand is higher, specially on weekends. Some people has said that if drivers do not want to work under those conditions, should leave the company. I believe a true Lean company, listen to the workers. They are engaged and they are part of the solutions and strategies of the company. I also understand that drivers working for Uber, aren't really Uber workers. But they share the problems, they are part of a great solution of transportation in the city and they, drivers, also share the profit that comes from every ride. A lean leader, could have informed a bit earlier to drivers, to let them know, what problem was the company trying to solve, and maybe, asking for some ideas. The communication, without knowing the whole story, is key and is critical. I think that there must be some true in driver´s statements claiming that communication is slow and inefficient. In a Lean environment workers are allowed to speak up, to point problems and provide solutions. Workers know better since they are the ones executing the operations and interacting with problems. In Uber's case they are the one's with instant feedback and interaction with customers, they should know a little about ways to improve. Since we don't have the company's side of the story I'm going to leave it here saying that if this is all true, the way Uber acted is everything but Lean. How helpful does ISO really is? This part of the post is also, totally my opinion in a subject that has been questioned, really since I started my professional life, 11 years ago. This last weeks, my company (Is not really my company, but the company I work for) wen´t through an on site audit to certify that it complies to ISO 9001:2008. That made me reflect on the fact that many people do not think ISO is worth it or help to make their jobs easier. That of course, we know is a symptom with three possible root causes or a combination of the three. The first is that ISO doesn´t really help organisations to ensure a higher operational execution. The second is that the systems companies have are really complicated and ISO is only exposing how inefficient and bureocratic they are. The third is just a missinterpretation on the requirements the norm demands. I believe is a combination of the three. Which one contributes the most, is hard to say. But I have work long enough in environments where ISO is implemented and where other systems co-exists and I think it is outdated. The key reason for having a system, and we all know it is critical to have the right system in place, is to deliver superior and consistent results. I think ISO main focus of standardisation is right. But as many have said, is not and end, is a mean to a superior vision or goal. Although standardisation is necessary and helps to execute processes in a consistent manner, it should´t be and excuse nor an obstacle for people to work in a standard way. Think about the way ISO looks how to control formats, the codification of formats and how things should be handled if we want to change a procedure or improve a process. The process is often long, involving many steps in order to have everything in conformance with the norm. I think this is because many companies, when going through ISO, create processes that are inefficient and in some cases really long. This has to do more with the company and the coach, interpreting the norm, helping and guiding the implementation. 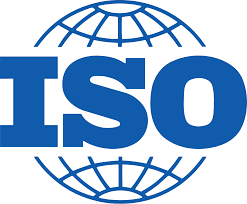 ISO is a norm, and like any other, is subject to personal interpretation at some points. The key for it to be really beneficial, I think is to keep two things in mind: the customer and that if implementing something bugs people, is an excuse or an obstacle to do things safer, easier, better, faster and cheaper, then is not really helpful and in my opinion should never be implemented in the company. If we can balance and practice ISO in an easy smooth manner, the benefits can be high. Specially on the standardisation process and to have written processes so other can learn new tasks and help to train others. Finally mexicans workers & Lean. Lean is Japanese, it´s easy for them, they are very disciplined, we are not. I believe that Mexican workers are curious and can be engaged at high levels. They are natural problem solvers and they like the quick, easy, simple solutions. I believe this caracteristics fit very well within a Lean culture. Mexican workers like to solve problems. They are curious and they like to learn new things. A Lean company allows workers to learn new things, allow experimentation and engagement. Mexican workers can speak up loud. This is also essential in a Lean culture. When a problem appears, workers must be encourage to point the problem and look for a solution. 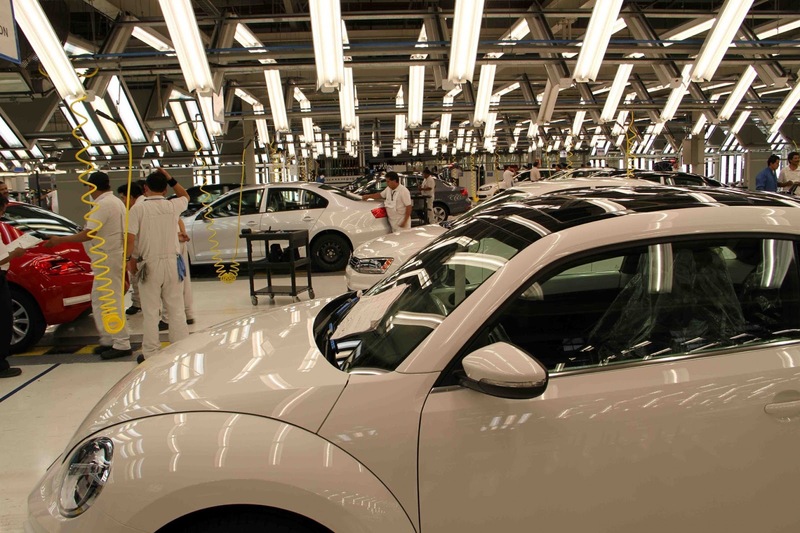 Managers must be ready to act quickly and engage workers in the solution, otherwise Mexican workers will loose interest and would be even harder to engage them again. Mexican workers, are like elephants; they never forget. There´s also another thing were workers in Mexico aren´t as good at it: planning and standardisation. We like to take hands on, to solve problems quick. There´s nothing wrong about it, but if solving a problem do not involve planning, the results could be disastrous, and as said before, Mexicans tend to loose interest real quick. 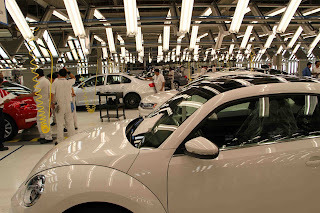 Mexican workers inspecting cars at a VW plant in Mexico. Also, standardisation doesn´t come natural. For us is difficult to follow a procedure. I said it before, we are curious and like experimentation. While this could be useful in problem solving, may not be as helpful when executing a process. Since variation introduced by the workers will often make it difficult for managers to understand why the process is behaving the way it is. Fortunately, I have found that leadership is the best way to avoid this obstacles and turn this weaknesses into strengths. Simply by talking to workers, asking for their ideas and opinions and respond quickly and objective to their demands. Sounds easy, but it´s harder. Specially if the company doesn´t have a culture of "Respect for People" it becomes really hard to engage workers and having them to understand that they are as important as anybody in the company and that their work is appreciated. Without that, workers just go to work for their pay check, with no other interest. Not very different to workers in other countries right? Glad you went through this. Please leave a comment or share with someone who might be interested.